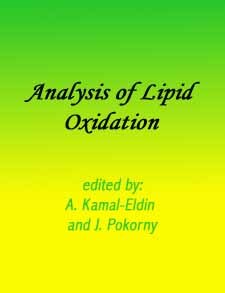 Lipid Oxidation Book from C.H.I.P.S. Analysis of Lipid Oxidation is essential for further developments in analytical methodology and hyphenated techniques, with which more understanding of the reaction kinetics, mechanism, and implications will take place. One important factor contributing to these gaps in our knowledge about lipid oxidation relates to the shortages in analytical methodology. Table of Contents is unavailable.